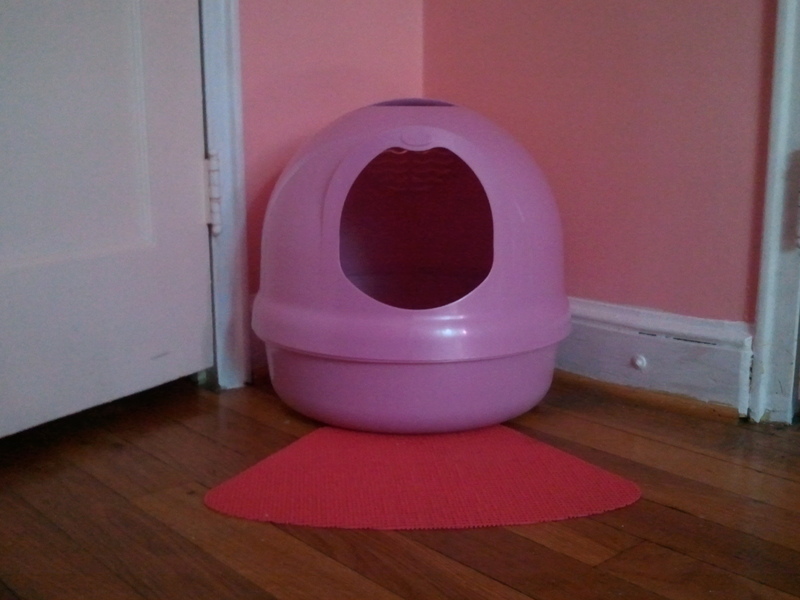 I Can't Believe It's a Litter Box! I will refrain from posting a photo of my cat using this product. But it looks great! My medium size cat (I think she is around 13 pounds) gets around in it just fine. I would not get this box for a big cat. It is very easy to clean and the filter controls odor. I can't believe it's a cat box!